So about 14 years ago our friends the Hocker’s introduced us to the tradition of Friday nite pizza nite. We would have it with them when we would go to visit for the weekend over in Madras, Oregon. 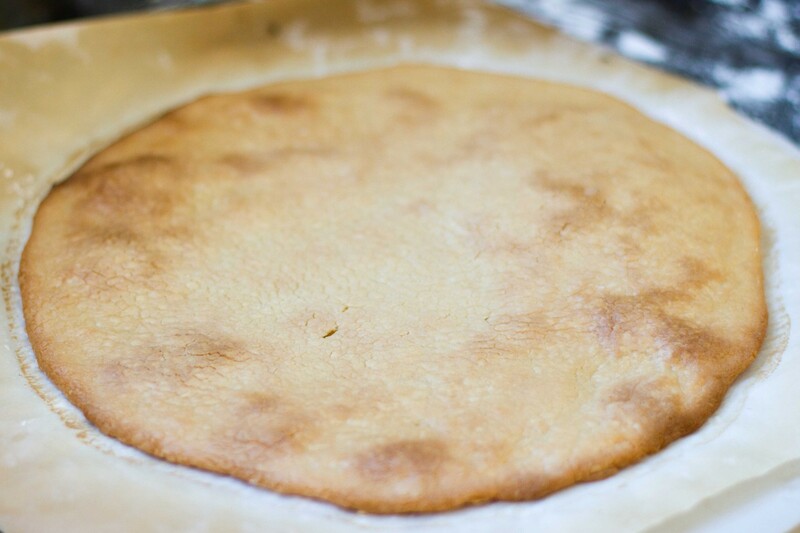 Kristin gave me her famous crust recipe and well, the rest is history. There have been very few weekends in the last 14 years that we have not had homemade pizza at some point during the weekend. It’s our thing. Sometimes we have friends over and sometimes we take the pizza to friends houses but no matter who is here or where we are, homemade pizza is usually involved. 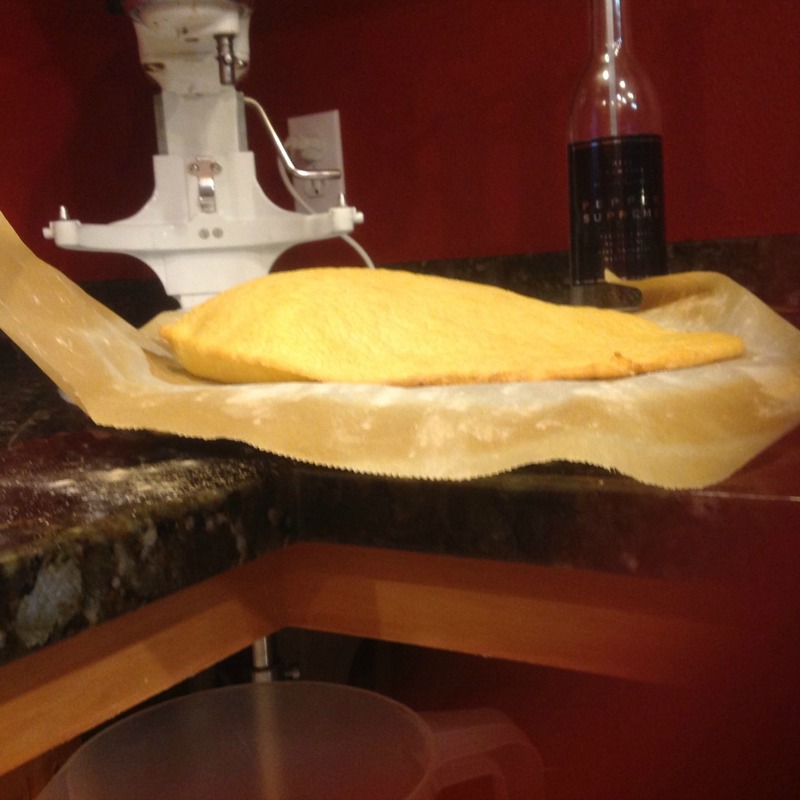 and this is what I found… Paleo Pizza Crust!!! I’m not gonna lie, I was a bit intimidated and nervous about this but friends I pressed on… even when this happened and my daughter was laughing at me. Just as I was patting myself on the back and snapping a photo of my masterpiece I noted that in all my excitement that I forgot one main ingredient. Cheese! There is no cheese on that pizza! So what do I do in a situation like this? Laugh at myself and then scrape all the toppings off and add the cheese and put the toppings back on. Rest assured the toppings didn’t look quite as pretty and mouth watering for the second go around. When Mr. Wonderful got home, I told him about my mishap, he laughed and asked me why I didn’t just put the cheese on top of the pizza. I told him that is not how pizza is made. I should know because I am the expert. All in all I was very happy with the outcome of this crust recipe. It was easy and there were no complicated ingredients or steps which I loved. Friday nite pizza nite is my favorite family tradition, all of us look forward to it every weekend, lots of our friends look forward to it too and will gently remind me when they haven’t been invited over for pizza nite in a while. I don’t want to eat salad while all my people are enjoying pizza and this crust was the perfect solution. For the record I have tried lots of other grain free recipes lately and many of them have been expensive lessons in something that I do not ever want to make again. Cheesecake made with cashews? Nope. I made pumpkin pie over the holidays. The filling tasted great but the crust? Not so much. You should have seen Mr. Wonderful’s face with that one on Christmas Day. He was less than impressed. As you all know learning something new means that there is a lot of trial and error involved. There is a huge learning curve with this whole no grain thing. I really like food and I want it to taste good. As with anything however it’s a slow process that will take time to become second nature. What’s more important is that I have found a way to keep my favorite family tradition in tact. 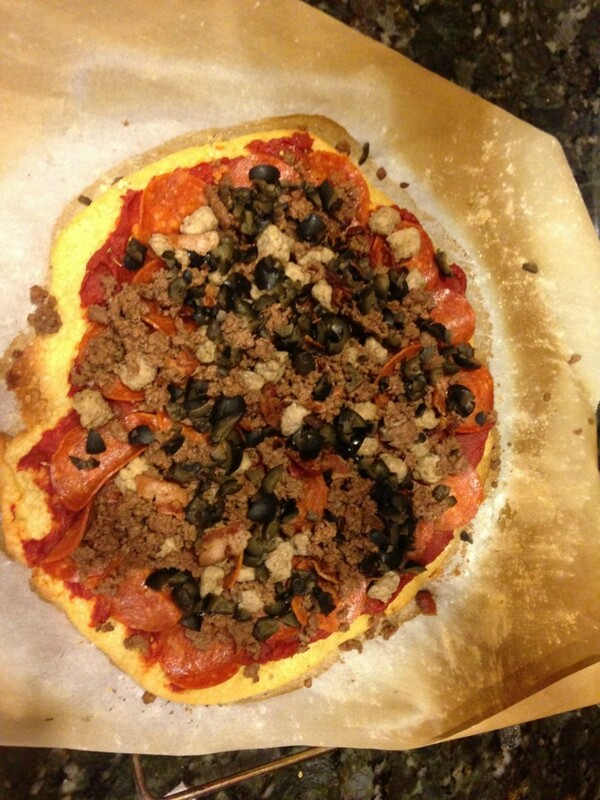 So thank you, Lea at Paleo Spirit for posting that pizza crust recipe you have saved Friday nite pizza nite and this makes me one happy mama. ps. I did make some grain free/sugar free chocolate chip cookies.. Yum! And today I am attempting banana chocolate chip bread. I’ll let you know how it goes. Wish me luck! Tiffany, thanks for the recipe! I have been dairy free and wheat free for some time. It is hard to find go doable recipes sometimes. This is my all time favorite. It may not be your thing but I thought I would pass it on. I have even gotten rave reviews from family members that aren’t accustomed to the “free” lifestyle. Ooh thank you Tonya! I’m always up for trying something new!